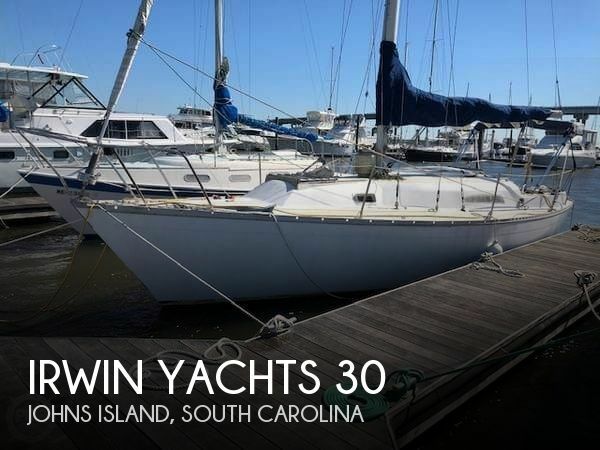 This classic Irwin 30 was primarily used as a liveaboard. Sails/rigging are 8-years old and she was last hauled and bottom painted in 2015. No soft spots were noted, however, like most Irwins the port lights have leaked and there are small smiles and cracks on the top deck. Stains on the cabin walls existed when seller purchased the boat. Seller believes there was a leak where the chain plate went thru the deck. Vessel has not leaked in last 10 years. 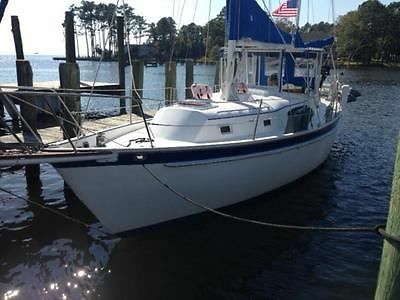 Stock #164233 Classic 1976 Irwin 30 sailboat! Perkins 35HP Diesel. 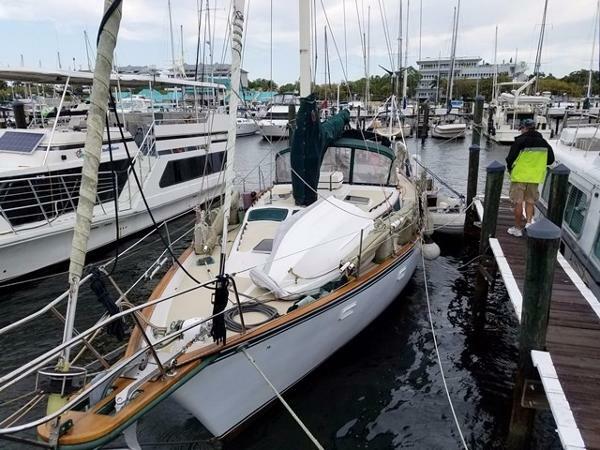 If you are in the market for a sloop, look no further than this 1976 Irwin 30, just reduced to $10,000 (offers encouraged). 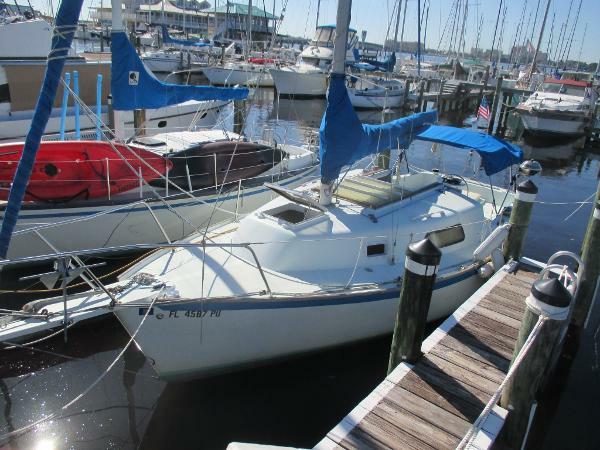 This sailboat is located in Johns Island, South Carolina and is in good condition. She is also equipped with a Perkins engine. Reason for selling is no longer living aboard. 1983 Irwin Sloop Very spacious comfortable cruiser or live aboard with tons of recent improvements 8/16, including bottom job, thru hulls, battery charger, alternator, and new house battery. 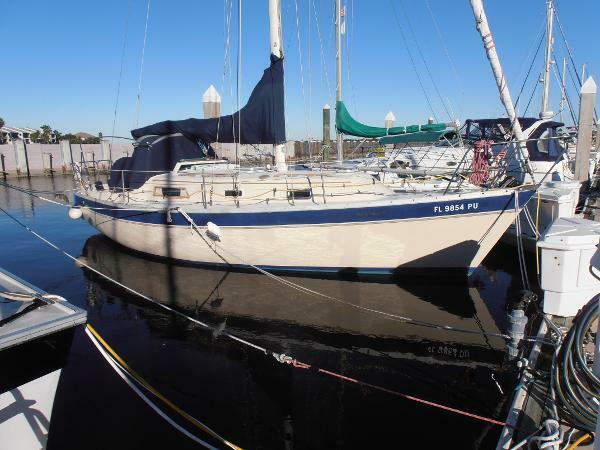 Very motivated seller, don't hesitate this boat is priced to sell. 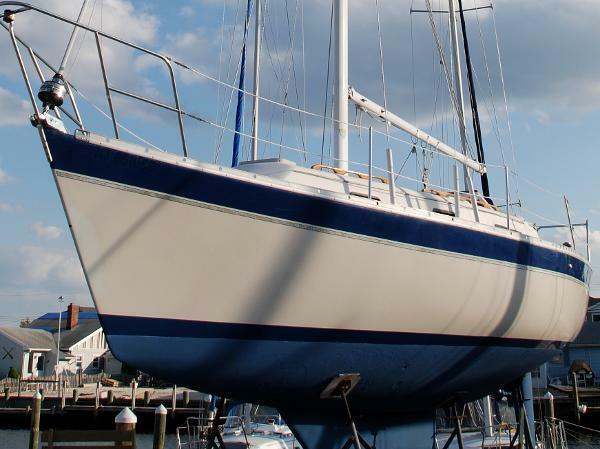 1984 Irwin 31 Sloop This 31' Irwin is in terrific condition for its age. The owner has taken pride in her care. The running rigging is strong and it boasts 7 Lewmar self tailing winches. All halyards and sheets lead to rope clutches in the cockpit. The cockpit features a steering station complete with a single engine control plus a teak pedestal table that folds away and includes 6 beverage holders. The dripless coupling bearing makes for a dry and exceptionally clean bilge. The Furlex genoa furler is practically new. 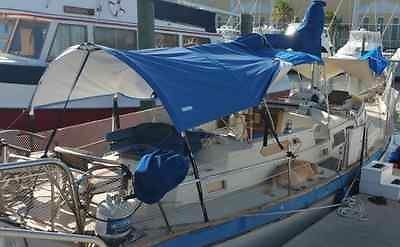 Scally Waggs has and entire cockpit enclosure and ll dodger & bimini canvas have new protective covers. The interior offers over 6' 2" head room and the cushions have been recently dry cleaned. No leaky port holes.I CONSIDER THIS VESSEL TO BE TURN-KEY!!!! 1975 Irwin 10-4 Sloop This 1975 Irwin 10/4 25' Sloop is powered with a 10 HP Volvo Diesel motor ( new starter and thermostat ) . Sails are 3 years old. Comes with Garmin 441s, VHF Ship to Shore Radio, 24" Flat Screen TV, Dual Battery Switch, Refrigerator and a Carry on A/C unit. Call for an Appointment to see. 1973 Irwin Center Cockpit Sloop Boat Interior needs TLC and minor repairs. 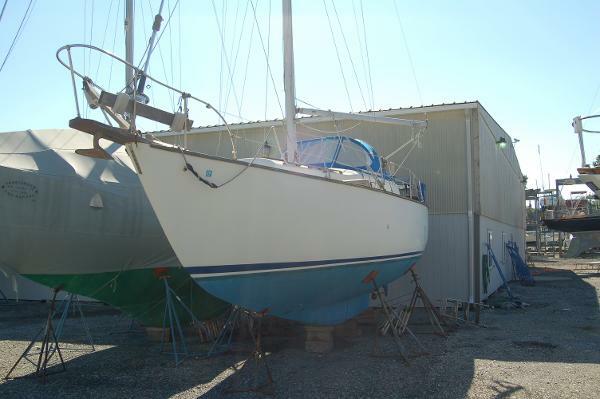 Exterior and mechanicals OK. Classic boat - Great Price! 1978 Irwin Citation 34.3 $16,000. OBO (in Jacksonville Beach, Fl.) Classic lines, low freeboard and wide beam. Sails well with generous accommodations and headroom below as well as a good sized cockpit. Includes 3 fore sails. Has good bottom paint (for at least one more season). Main needs replacing. 6 2speed winches (2 are self-tailing lewmar). Powered by Yanmar 20hp diesel….a true workhorse. Is equipped with Cetrek autohelm, depth sounder, compass etc. It has Solar Panel charging system with relatively new house batteries, under warranty. Below is set up for and has been an excellent liveboard ! It has 6’2” headroom and no known leaks. Galley has 2 added 110 independent outlets, microwave, 110 refrigerator, “Nuwave” induction burner (with appropriate pots pans etc. ), Generous below counter Ice box and pantry. Includes dishes, flatware etc. Portside aft has quarter berth going forward Nav station with functioning VHF, then 5 seater sete around a solid mahogany table with folding leaves and stowage center. Across is 6’+ couch all with 6”seat cushions. Included is a 30” Vizio Smart 1080p TV with HD antenna and Sony Bluray player, a repeater/extender for wifi signal and an XM Satellite unit (requires hosting unit and subscription). Does have an onboard marine AM/FM/CD with helm remote but didn’t use it much and presently doesn’t work (believe it to have a pulled wire or short somewhere). Forward to port is head compartment w/functioning sink and fresh water head, compartment has floor drain under teak grate but no shower spray or water heater. Across is hanging locker and forward is roomy/cozy v-berth. Plenty of storage everywhere, behind and under seating, some drawers, compartments, shelving and liquor locker. Boat carries 60 gallons of water and 25gallons of fuel. “Cruisair Carry-on” 7,000btu A/C with custom (truly weatherproof cover) and an additional 5,000 btu A/C to slip into companionway. For heating is a remote controlled radiant thermostatic unit. Also included is a Walker Bay dinghy with oars. She needs some cosmetic TLC but overall is in good condition ! I do not wish to finance. 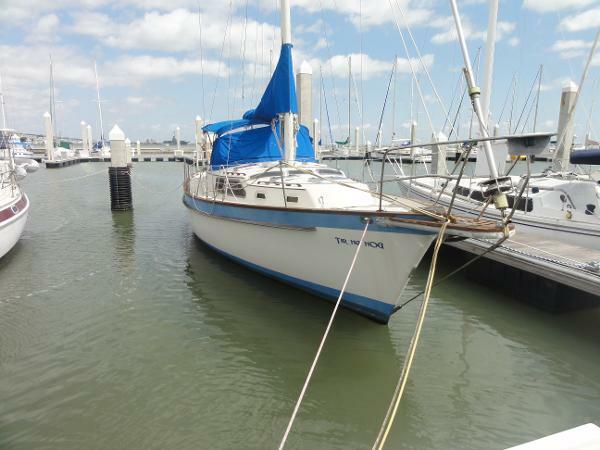 1977 Irwin sloop for sale. Main sail 8/10Jib 4.5/10Lines 6/1030 gallon holding tankrunning cold and hot waterAlcohol stove top cold chestcommunications radiostereoHalf Bath (no shower)Sleeps 5 No soft spots on deck or on haul Atomic 4 inboard motor, Gas, 30 gallon. Last bottom paint has been 4 years. Clean title. Sold as is. Any questions feel free to ask. 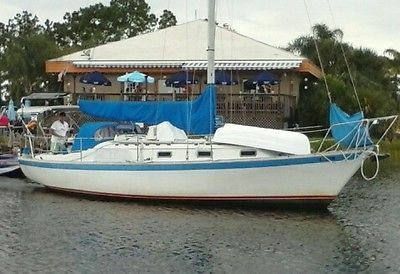 1982 IRWIN 37 CENTER COCKPIT SLOOP $65,000 REFIT MAKES THIS A "MUST OWN"
1983 Irwin 31 REDUCED! 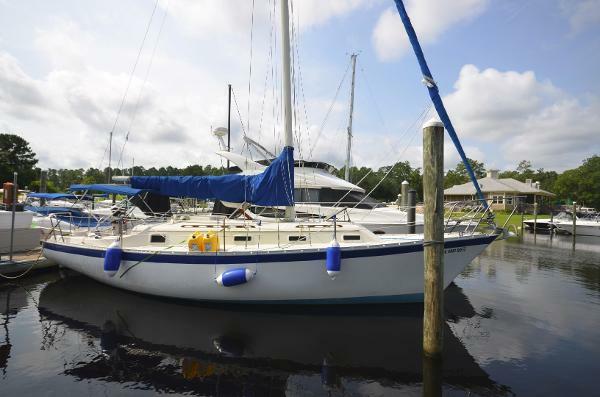 This popular family cruiser has seen very good care and is seriously for sale. 1987 Irwin Citation A nice example of the Irwin Sailboat Legacy. She is going to make a great cruiser or live-aboard. She has some new running rigging and updated electronics. Her owner bought her recently and brought her up form Florida and now some health issues require her sale.